The emergence of Chris Welsby’s landscape and weather films in the late 1960’s coincides with the emergence of Systems theory, a science that looks at process and change in response to input from the environment and sees living systems and social systems in terms of the dynamic relation between the parts and the whole, the publication of Rachel Carson’s Silent Spring, and UK structural filmmakers rejection of the expressionistic or transcendental elements still evident in the films of their American colleagues, in favor of a more politicized model rooted in the Kino Eye Manifesto of the early Soviet filmmakers. 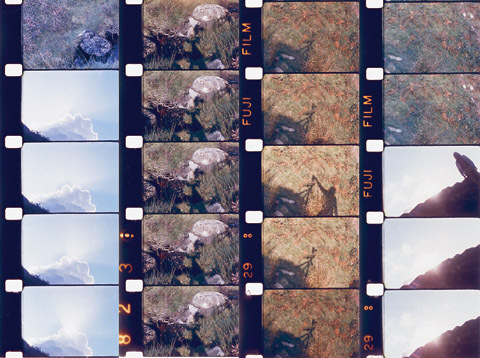 In this climate, ¬Welsby’s films developed a deep concern for the interconnectedness of these systems, where landscape was not secondary to filmmaking process or filmmaking process to landscape, but process and structure, as revealed in both, could carry information and communicate ideas. In all his films and installations he uses the simple structuring capabilities of moving image technologies, such as variable-frame rate, in-camera editing and multiple projection, in combination with natural phenomena such as wind and tides and the rotation of the planet, to produce works in which mind, technology, time, and nature are not seen as separate things divided along Cartesian lines, but as interconnected parts of one larger dynamic system. A pioneer of moving images in the gallery, Welsby’s expanded cinema works and installations from the 70’s and 80’s are now gaining renewed attention. Since 1993, Welsby has been making digital media installations, collections of which were featured in his 2005 solo exhibition Liquid Light at the Plug In ICA, Canada, and his 2007 solo exhibition at the Letherby Gallery, UK. His recent new media collaborations with Brady Marks have been well received in Toronto, at the 2006 Images Festival, and in South Korea at the 2006 Gwangju Biennial. Welsby was a founding member of the London Filmmakers Co-op and co-founder of the New Media Department at the Slade School of Fine Art, University of London. Currently, he is a professor of Film and Video at Simon Fraser University, Vancouver and participates in the University of British Columbia’s Institute for Computing, Information, and Cognitive Systems (ICICS), an interdisciplinary research institute fostering a human-centered paradigm shift in emerging information technologies. For A Systems View of Nature Welsby will reflect on excerpts and documentation from his films, expanded cinema works, and digital media installations within a discussion of his philosophical, technical, and critical framework. The following works will be referenced and represented in excerpt or still image. Seven Days, 1974, 16mm, colour sound, 20mins (dv 2min clip), UK. Colour Separation, 1974-76, 16mm, colour silent, 2:30mins, (dv 2:30mins) UK. Shore Line I, 1975, 16mm, colour silent, six projector installation, (still), UK. Shore Line II, 1979, 16mm, colour silent, six projector installation, (dv clip 2min), UK. 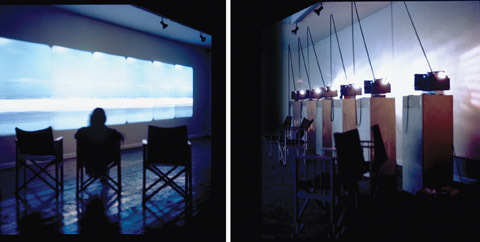 Sky Light, 1986, 16mm, colour silent, six projector installation, 26mins (dv clip 2min), UK. Lost Lake, 1998, colour sound, video wall installation, (still), CAN. At Sea, 2003, 4 screen digital video installation sound, (still), CAN. Waterfall, 2004, colour sound, single channel dv installation, (still), CAN. Lost Lake II, 2005, color sound, interactive digital media installation, (dv clip 2min), CAN. Trees in Winter, 2006, colour sound, weather driven digital media installation, (5min clip), CAN. Tree Studies, 2006, colour sound, global weather driven digital media Installation, (10min documentary), CAN. Taking Time, 2008, colour silent, new media web based/photographic sculpture public artwork, (still), CAN. Heavens Breath, 2009, colour sound, weather driven digital media installation, (5min clip), CAN.